What a weekend of racing! Although it was all about running, this past weekend was a pretty good illustration of my wacky Citymouse/Countrymouse life. 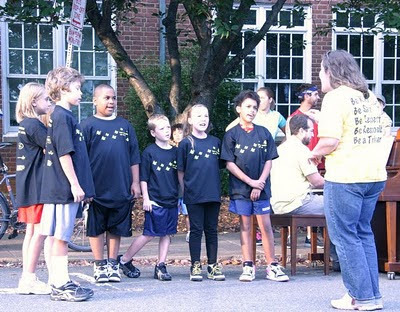 Saturday morning was the Clark Super Achiever Buzz by Belmont, a 5K race that I co-directed. It’s an old-school informal people's race organized by the Clark Elementary PTO to benefit the school and to bring the community together. It started at 8:00 am, with the Clark 4th Graders singing America the Beautiful. 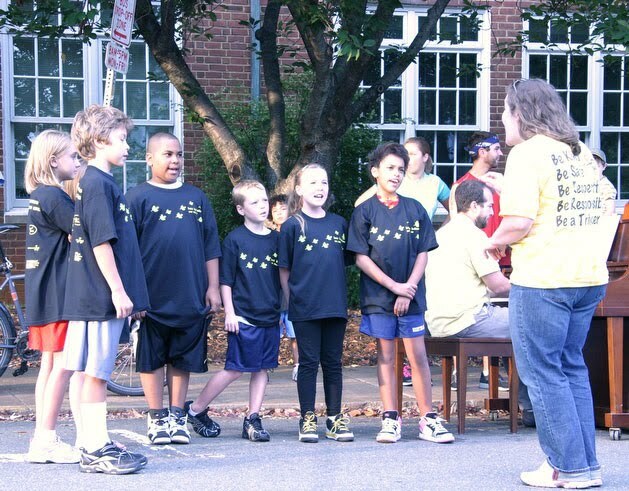 Nothing could have been sweeter: the tinkling piano that we wheeled out into the street, the little voices so soft that we brought the runners way up past the starting line to hear them, the big round of applause as they finished strong. The race had about a hundred participants—serious runners, families with children, kids in strollers, and the mighty 4th grade Road Warriors, who had spent the night at a lock-in organized by the popular gym teacher Mr. Massie. We didn’t bother with race numbers or a timing system—index cards and tick sheets worked just fine. It was fun but there was no time to relish success: by 11:00 am I was on a train to New York to work the Continental Airlines Fifth Avenue Mile, which took place Sunday morning. The event takes all day with thousands of runners in about 20 age-based heats. It takes so long, in fact, that I was able to sleep in, jump into my 35-39 race, run a mile down Fifth Avenue, add 13 more miles along the Hudson and still get back in plenty of time to help manage the later heats. The last races on the schedule were the Professionals—Olympians, National Champions, and World-Class athletes. We staged the race in a very spectator-friendly way so the crowds were thick and highly energized. The athletes didn’t disappoint: as is typically the case, both the women’s and the men’s races came down to furious sprint finishes, with great and gracious champions winning in fast (but not record) times. Back to the office for a few hours of editing—I think it took me and our new assistant editor about five hours to process around 10,000 photos and get them on the web. The results were terrific: see some highlights here. At day’s end, I staggered back to John’s house for what might have been the best part of the day: a nice little dinner party with him, Anki, and our friend Heather. I slept great and woke the next morning ready to give the world a high-five. Matt Kleberg. 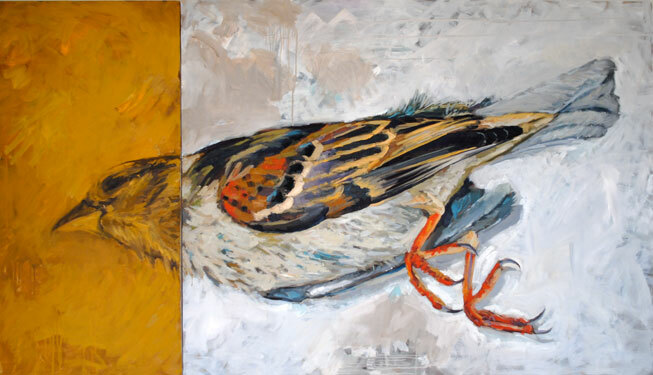 The Transformation Of A Dead Sparrow oil on canvas 48"x84", diptych 2010. Courtesy the artist. 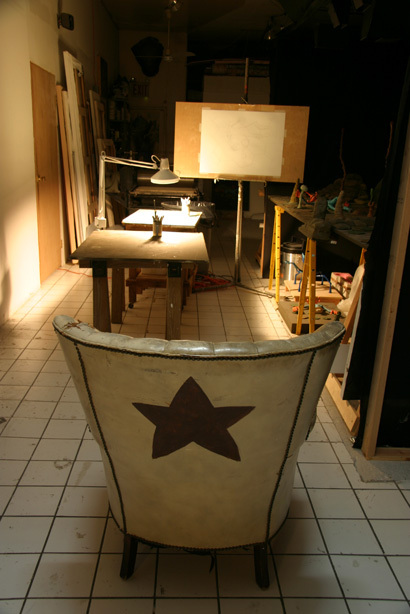 A new studio-mate and new energy—lots more energy, and very positive! I wasn’t unhappy with who I had before but I couldn’t be happier that Matt Kleberg, aka Caballero, has moved into the other side of Studio 28. He’s a great guy, a very talented painter, and he’s cool with Sebastian. So he’s cool with me. I came up with the nickname when I saw one of his recent paintings of men on horses: Stetsoned and eating plates of messy food on tin plates—cowboys I thought. On second glance, those are vaqueros, which makes perfect sense given Matt’s South Texas provenance. Recent issue from the University of Virginia, he literally is a Cavalier. We’re visited frequently by a host of men and ladies from his days on the Grounds. But if it’s a posse, it’s a cheerful one, on a mission to support the local artists, which again is alright with me. The man works as hard as a ranch-hand and has an unaffected modesty that only adds to his charisma. 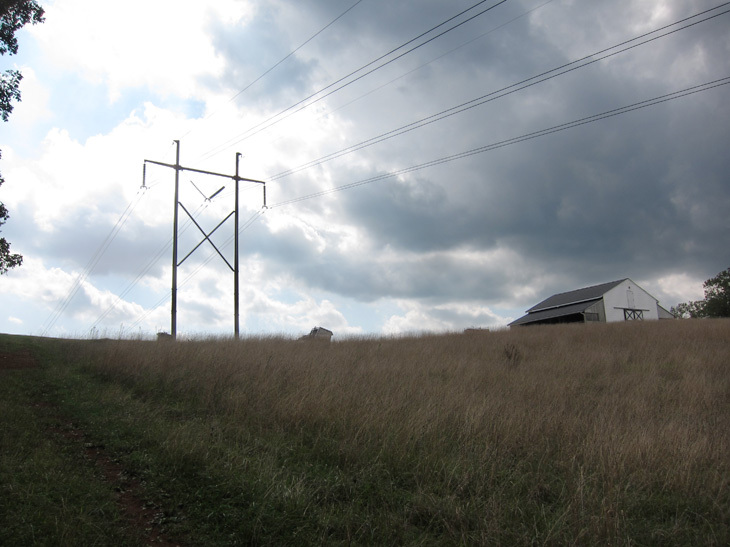 He’ll certainly do well and McGuffey—and Studio 28 in particular—are better for his presence. Huge thanks to Anki, John, Wellington, Jen, Laura, Rachel, Pamela, Splinter, Amelia, Liz, and the other Amelia for hosting me recently. There's no way I could handle the back and forth to and from New York without my amazing friends. Not only would it be cold sleeping on the street but much more importantly, my mental state would not hold up well at all. It's not easy constantly saying goodbye to my family but these guys and ladies do alot to cushion the blow. Their loving presence creates a warm and very safe cocoon in which I feel very comfortable away from home. While I'm in New York, I mostly want to hang out with them, so it's a good thing they're such fascinating people. In fact, hanging out in their living room or at a quiet table in some artsy cafe or bar is just about my favorite thing to do in the City. I've been to many shows and seen some amazing things, but I'm fortunate to have some seriously interesting friends, and they're really coming into their own as artists and creative people. I feel lucky just to spend time with them and they're as generous with their time as with their hospitality. So, a great conversation in a comfortable environment with people who care about me. At night I sleep like a rockstar! There’s nothing I enjoy more than a stroll through a field alive with the sound of cicadas. This weekend officially marked Summer’s passing and I cannot help feeling a little melancholy every time. Sure, it’s 90 degrees out but the signs are unmistakable: the edge is gone and the season is changing. For all that the fields are golden with wildflowers and the trees are still clothed in green, you can feel it in the cool shadows, the chilly nights, and the freezing water. The calendar has turned a page. I love all the seasons but let's face it: summer is the best. I don’t mind the sun or the heat and I just love the way the plants (and consequently the animals) thrive. Although every season is interesting and has its charms, the best thing about summer is the way it makes us live—relaxed, easier, and closer to our primal selves. It feels so free: the scant clothes we wear, the trips we take and the places we go, and the outdoorsy things we do. It’s undeniably better away from the city where the natural world is so accessible. These past few months had an added advantage in the form of a little pint-sized sidekick riding along with me on the tandem bike, in the garden, on hikes, and in the studio. Instead of sending Sebastian to camp, we thought it would be interesting for him to tag along with his artist dad and it was certainly more affordable. It wasn’t always easy and we may not do it again but he was really good company and always very lively. I’ll cherish the memories of the many fun things we did together. Seasons pass and kindergarteners become first-graders. As summer slowly fades into autumn, it’s impossible not to see how time runs away from us. Good times pass, surely to be replaced by others, but this time of year really brings that home to me and I sigh as I fold up my bathing suit and put my flip-flops away.